This menu allows you to display, hide, and otherwise manipulate the various views, perspectives, and actions in the Workbench. This command opens a new Workbench window with the same perspective as the current perspective. This command opens an editor based on the currently active editor. It will have the same editor type and input as the original. This command opens a new perspective in this Workbench window. This preference can be changed on the General > Perspectives preference page. All of the perspectives that are open within the Workbench window are shown on the shortcut bar. The perspectives you will likely want to open are listed first. This list is dependent on the current perspective. From the Other... submenu you can open any perspective. This command displays the selected view in the current perspective. 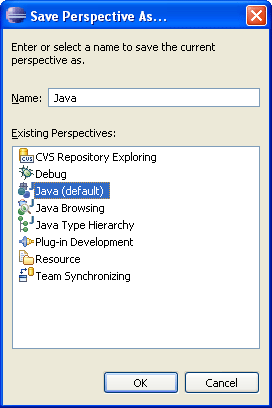 You can configure how views are opened on the General > Perspectives preference page. Views you are likely to want to open are listed first. This list is dependent on the current perspective. From the Other... submenu you can open any view. The views are sorted into categories in the Show View dialog. Each perspective includes a predefined set of actions that are accessible from the menu bar and Workbench toolbar. This command allows you to save the current perspective, creating your own custom perspective. You can open more perspectives of this type using the Window > Perspective > Open Perspective > Other menu item once you have saved a perspective. This command changes the layout of the current perspective to its original configuration. This command closes the active perspective. This command closes all open perspectives in the Workbench window. 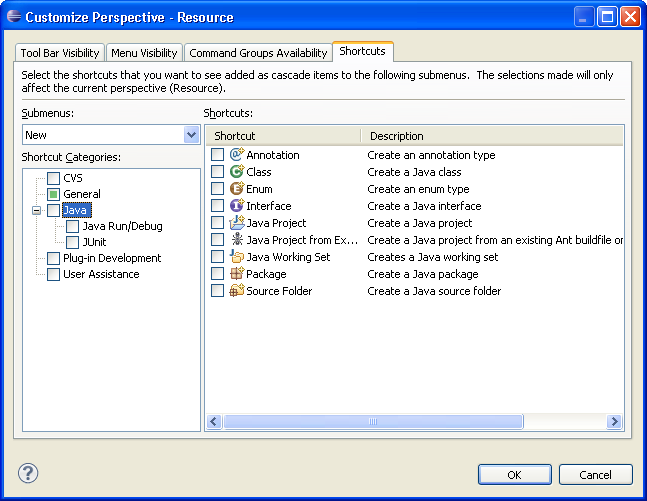 This submenu contains shortcut keys for navigating between the views, perspectives, and editors in the Workbench window. Show System Menu: Shows the menu that is used for resizing, closing or pinning the current view or editor. 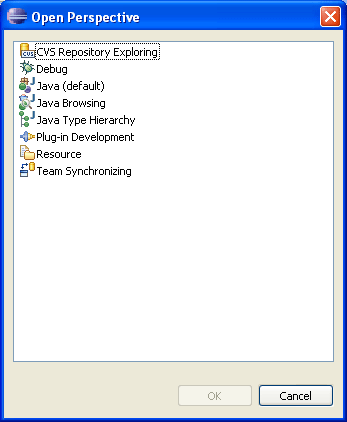 Show View Menu: Shows the drop down menu that is available in the toolbar of the active view. Maximize active view or editor: Causes the active part to take up the entire screen, or if it already is, returns it to its previous state. Activate Editor: Makes the current editor active. Next Editor: Activates the next open editor in the list of most recently used editors. Previous Editor: Activates the previous open editor in the list of most recently used editors. Switch to editor: Shows a dialog that allows switching to opened editors. Shows a dialog that allows switching to opened editors. Quick switch editor: Shows a searchable popup that allows switching to a new editor. Next View: Activates the next open view in the list of most recently used views. Previous View: Activates the previous open view in the list of most recently used editors. Next Perspective: Activates the next open perspective in the list of most recently used perspectives. Previous Perspective: Activates the previous open perspective in the list of most recently used perspectives. 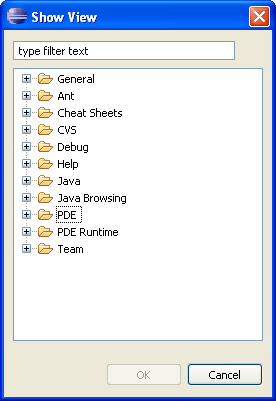 This submenu contains entries to select or edit working sets. This command allows you to indicate your preferences for using the Workbench. There are a wide variety of preferences for configuring the appearance of the Workbench and its views, and for customizing the behavior of all tools that are installed in the Workbench.